As the owner of an above ground pool, you may quickly find that it takes a bit of work maintaining a clean and bacteria free pool. If you choose to sanitize your pool using chlorine, you’ll have to monitor the chlorine levels daily, if not more than once a day. You may notice a wide variance in the chlorine levels within a 24-hour period. There are several reasons for the variance and a few things you can do to help moderate the fluctuations. Your pH levels affect your chlorine levels and the ability for the chlorine to do its work properly. If your water’s pH is too high, it hinders the chlorine’s ability to efficiently clean the pool. A water pH level that is too low causes the chlorine to dissipate more quickly. Therefore you’ll need to add more chlorine to accomplish the task. Sunny days are murder on chlorine. 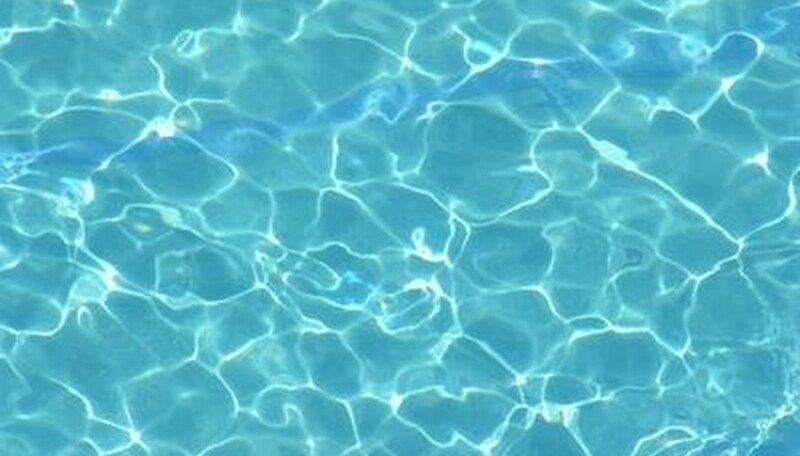 The bright sun breaks down the chlorine and you’ll notice your pool chlorine levels drop. Unless you’re in the process of removing green algae from your pool, you should wait until the evening before adding shock to your pool’s water. Adding shock during the sunlight hours will render the chlorine less effective. Not only does heavy rain dilute the existing chlorine in the pool, but it also affects the pool water pH. It’s important to check the chemical levels after a heavy rain to see if you have to adjust the pH prior to adding more chlorine. The bacteria left in a pool from normal use affects the chlorine levels, but not nearly as much as heavy use. Activities such as an all-day pool party or extensive swimming introduces large doses of human bacteria and chemicals such as deodorants, sunscreen and sometimes wastes to the pool. As the chlorine works to kill the unwanted particles, your chlorine levels will drop. By adding a stabilizer you can help to buffer the extreme fluctuation in chemical levels. Adding cyanuric acid to the pool stabilizes the water and helps to maintain a more even chlorine level. Some test strips will measure the pool’s cyanuric acid level (also known as CYA). Cyanuric acid helps to protect the chlorine from the destructive effects of the sun.